Browse our collection of 65 Final Fantasy T-Shirts and more. Designed and printed in the USA. 100% Satisfaction Guaranteed. 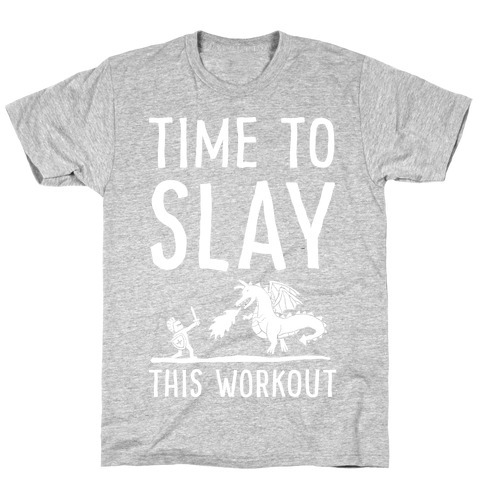 About this Design Show off your love of fitness and fantasy with this dragon inspired, gym lover's, workout humor shirt! Let the world know you are here to slay dragons and slay workouts and dragons aren't real so get out of the way! 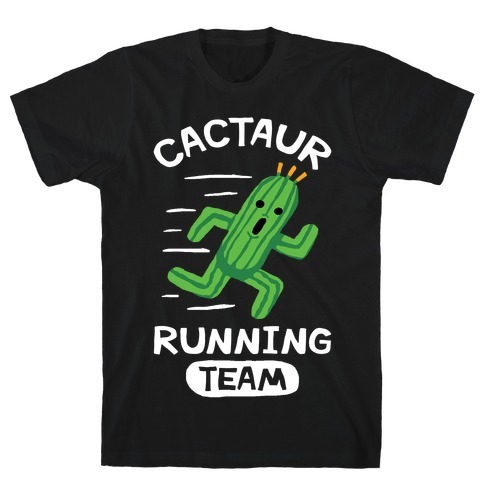 Show off your love of fitness and fantasy with this dragon inspired, gym lover's, workout humor shirt! Let the world know you are here to slay dragons and slay workouts and dragons aren't real so get out of the way! 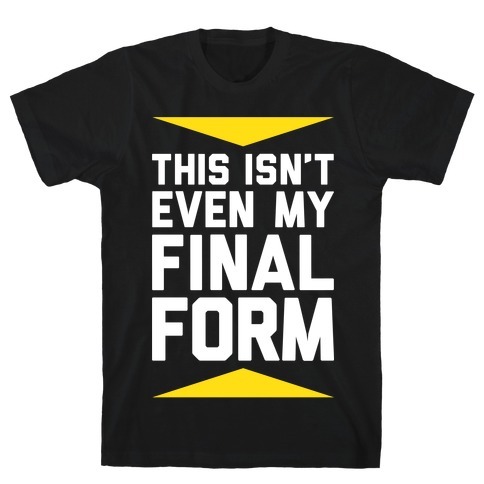 About this Design I may be fit, but I haven't reached my final form yet! Perfect for those who never stop striving to take their fitness to the next level! This cool design is a reference to a popular from Dragonball Z in which Cell goes through several transformation during a great battle against the forces of earth. 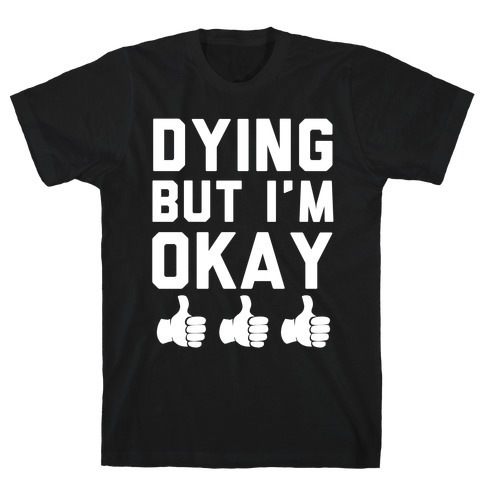 Perfect for wearing to the gym while pursuing your fitness goals. I may be fit, but I haven't reached my final form yet! Perfect for those who never stop striving to take their fitness to the next level! This cool design is a reference to a popular from Dragonball Z in which Cell goes through several transformation during a great battle against the forces of earth. 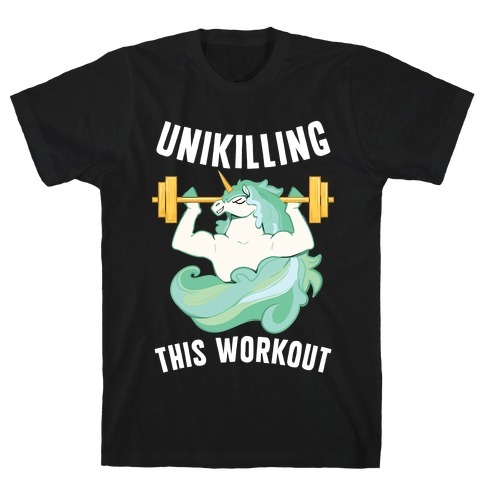 Perfect for wearing to the gym while pursuing your fitness goals. About this Design It's Winter time which means it's time to hit the gym hard and get your body ready for the summer time! 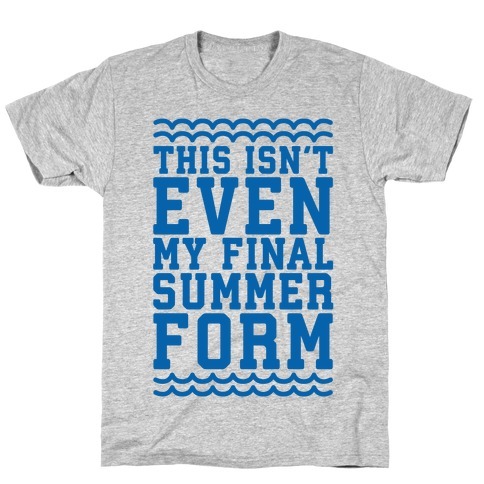 Build your summer body and get it ready to transform into it's final summer form with this and nerdy workout shirt! It's Winter time which means it's time to hit the gym hard and get your body ready for the summer time! 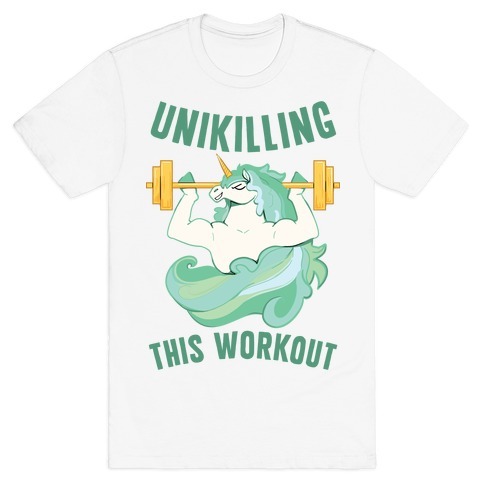 Build your summer body and get it ready to transform into it's final summer form with this and nerdy workout shirt! About this Design To boldly lift where no one has ever lifted before... Listen, being stranded on a violent alien world is no excuse to skip leg day. When you're ready to work those weights like the Captain would, grab this nerdy fitness shirt and start your workout with pure Star Trek love. To boldly lift where no one has ever lifted before... Listen, being stranded on a violent alien world is no excuse to skip leg day. 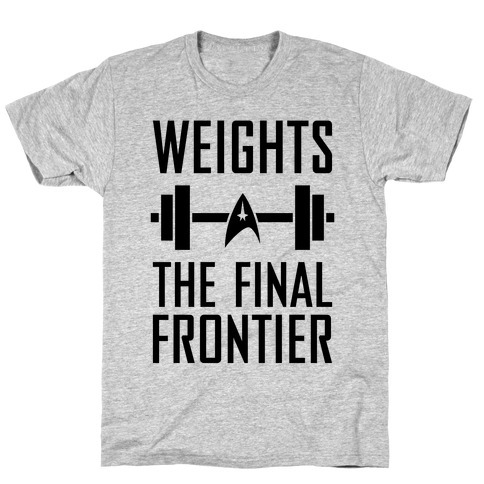 When you're ready to work those weights like the Captain would, grab this nerdy fitness shirt and start your workout with pure Star Trek love. 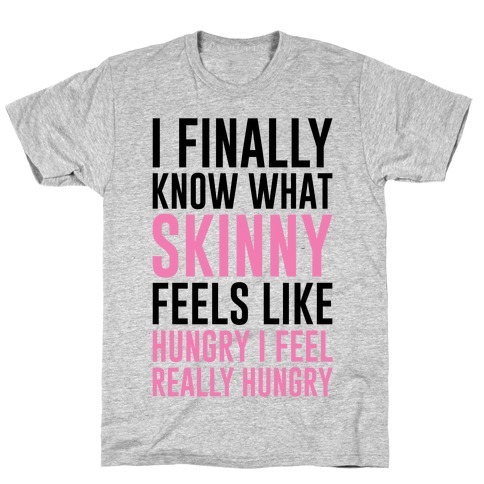 About this Design I finally know what skinny feels like, hungry, I feel really hungry. Nothing makes you hungrier as getting skinny feels after a powerful workout at the gym. I finally know what skinny feels like, hungry, I feel really hungry. Nothing makes you hungrier as getting skinny feels after a powerful workout at the gym. About this Design Hurry! Run faster, the moon is falling! Listen, if Link can save Termina in 3 days, you sure as hell can get another mile clocked in on the treadmill. 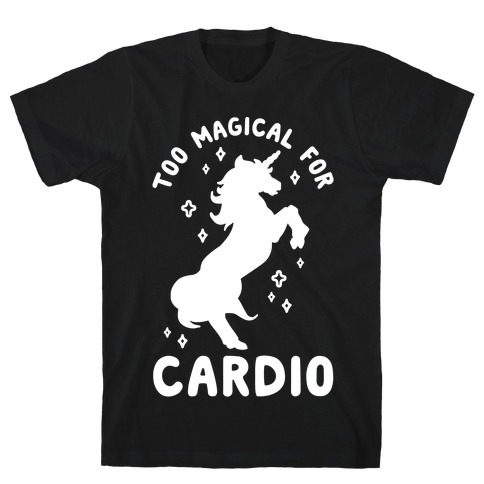 Get your fitness on at the gym with this nerd inspired workout design! Hurry! Run faster, the moon is falling! Listen, if Link can save Termina in 3 days, you sure as hell can get another mile clocked in on the treadmill. 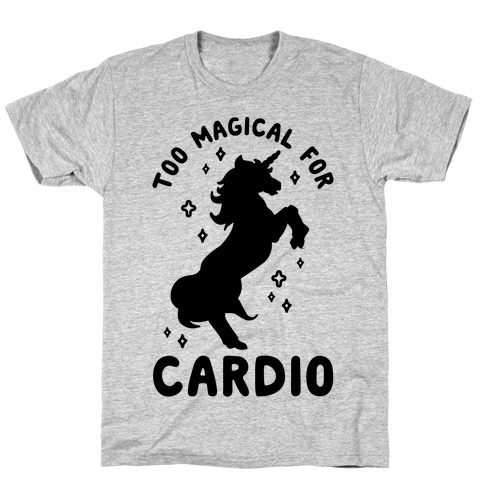 Get your fitness on at the gym with this nerd inspired workout design! About this Design I lift the thing. 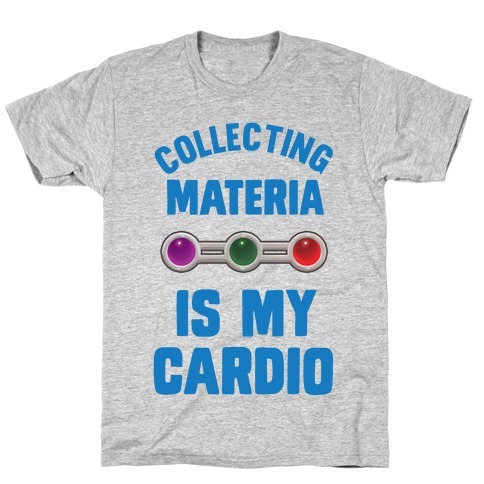 Show your love of tabletop role-playing games and lifting weights with this nerdy fitness design. I lift the thing. 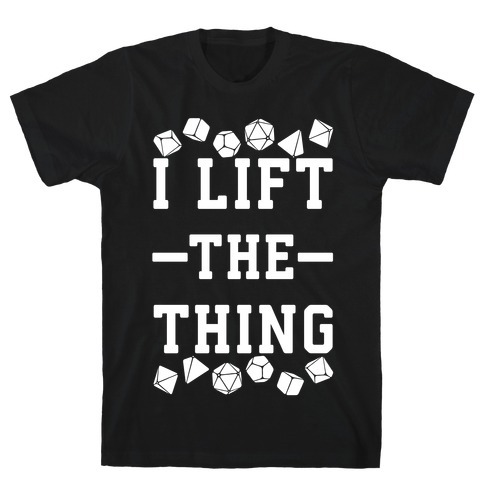 Show your love of tabletop role-playing games and lifting weights with this nerdy fitness design. 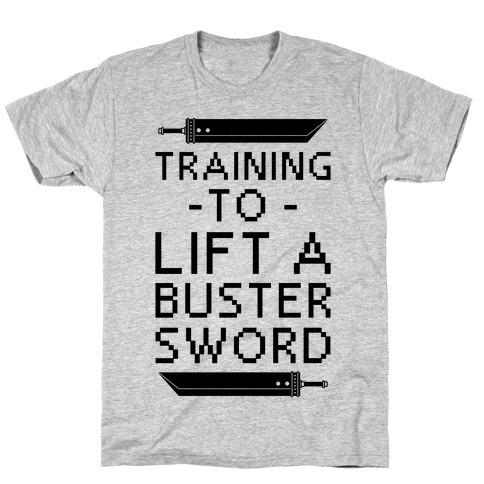 About this Design Training to lift a Buster Sword. That's a big old sword. 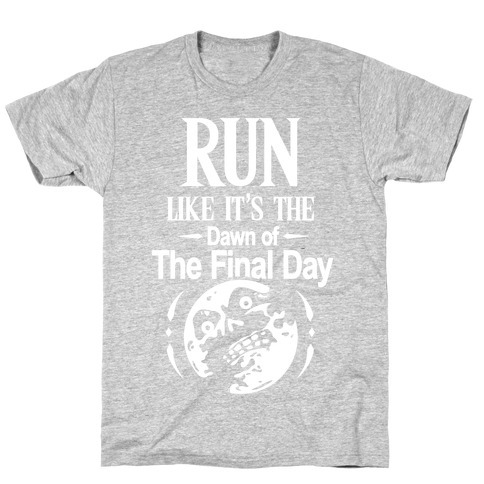 Show your love of old-school RPGs the next time you're at the gym with this Final Fantasy 7 inspired design. 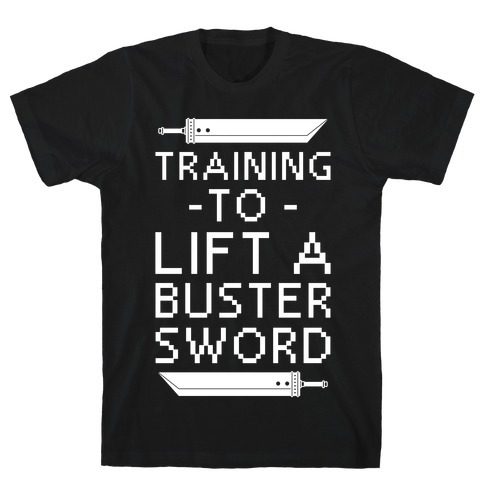 Training to lift a Buster Sword. That's a big old sword. Show your love of old-school RPGs the next time you're at the gym with this Final Fantasy 7 inspired design. 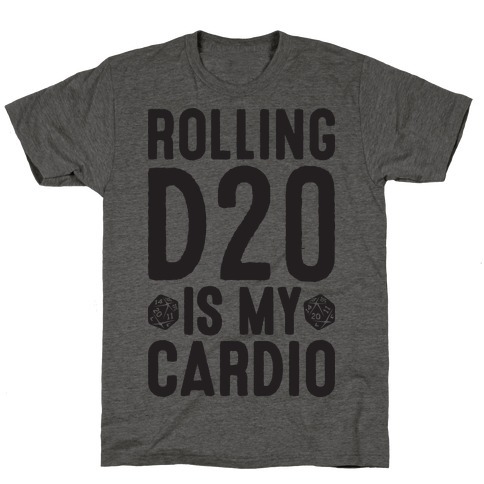 About this Design Get your fantasy fitness on with this , "Rolling D20 Is My Cardio" dungeons and dragons inspired design! Perfect for a nerd, playing DnD, rolling dice, role playing, table top gaming, and DnD humor! 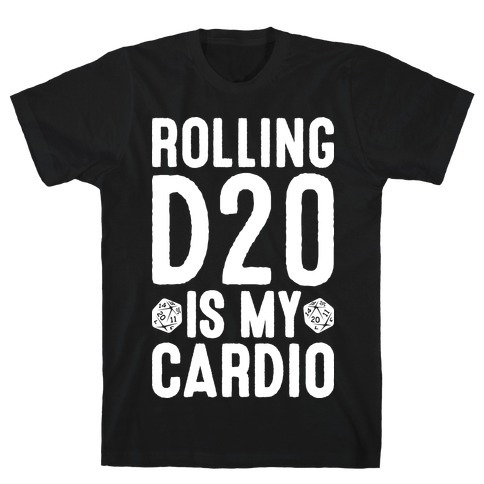 Get your fantasy fitness on with this , "Rolling D20 Is My Cardio" dungeons and dragons inspired design! Perfect for a nerd, playing DnD, rolling dice, role playing, table top gaming, and DnD humor!